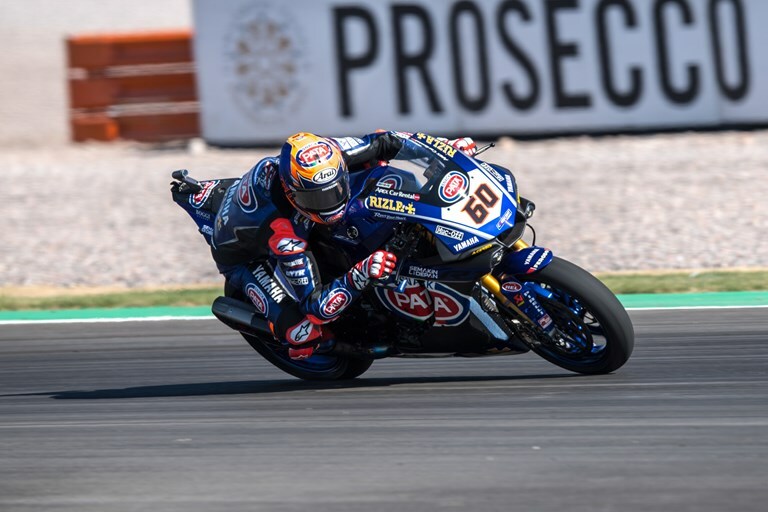 The Pata Yamaha Official WorldSBK Team head into the final round of the 2018 FIM World Superbike Championship in Qatar this weekend determined to end the season on a high under the floodlights of the Losail International Circuit. Michael van der Mark, twice a race winner already this season, is aiming to add to his impressive podium tally in Qatar, as he targets second place in the final championship standings. Alex Lowes rates the Losail International Circuit as one of his favourites, having finished on the podium there in the final race last year, a feat he is keen to repeat this weekend in the 2018 season finale. The 2018 season has been the most successful to date for the Pata Yamaha Official WorldSBK Team. Van der Mark took the team’s first WorldSBK win aboard the Yamaha YZF-R1 in Race 1 at Donington Park before going on to do the double in Race 2 the following day. The 25-year-old has been a regular frontrunner in the championship this season, racking up a total of 10 podium finishes in the 24 races contested so far. Van der Mark lies third in the championship going into the final event of the season but with 50 points up for grabs in Qatar, the Pata Yamaha rider will be going all out this weekend to defend his position, while also looking to take second place from Chaz Davies, who leads him by just 24 points in the standings, should the opportunity present itself. Lowes has also enjoyed significant success aboard the Yamaha YZF-R1 this season. The Pata Yamaha rider has four podium finishes to his name in 2018, including his first ever WorldSBK race win, which came during Race 2 in Brno back in June. The 28-year-old has endured a difficult second half to the season, but is determined to bounce back and end his 2018 campaign on a high this weekend under the floodlights at the Losail International Circuit, a track that suits both his riding style and the Yamaha YZF-R1 and where Lowes finished on the podium in the final race of last season. The Losail International Circuit is located 30km north of Doha, the capital city of Qatar, and is unique in that it plays host to the only night race on the WorldSBK calendar. The 5.38km track is made up of ten right and six left-hand corners with a start finish straight that is over a kilometre in length. A mix of fast-flowing corners and slower technical sections, the circuit is a firm favourite with riders and fans, both of which enjoy the challenge and spectacle of racing under floodlights. The Qatar race weekend follows a different schedule than most, with only the WorldSBK & WorldSSP classes involved and track action taking place in the early evening from Thursday to Saturday. The Pata Yamaha Official WorldSBK Team will take to the track for Free Practice 1 on Thursday afternoon at 16.20 local time, with qualifying scheduled for 16:30 on Friday. Race 1 on Friday and Race 2 on Saturday are both scheduled to get underway at 19.00.